Anyone can talk about anything. That’s the beauty of podcasting, says Eula Scott Bynoe. She’s one-third of “Hella Black Hella Seattle,” a new podcast creating community for people of color in Seattle. 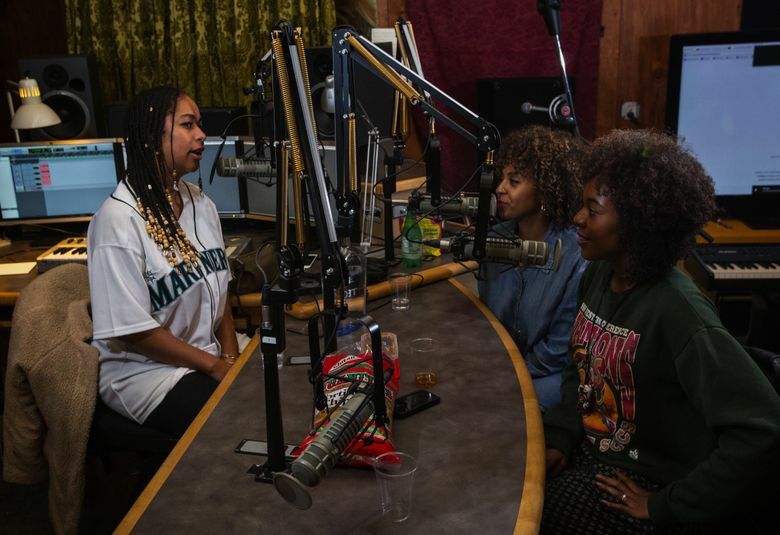 Bynoe, Jasmine Jackson and Alaina Caldwell started “Hella Black Hella Seattle” in May because, they say, there was nothing like it, and there needed to be. They planned to take a break from the podcast (hellablackhellaseattle.com) in September, but after an overwhelmingly positive response, they decided to keep it up. The Seattle Times has several podcasts on politics (“The Overcast”) and sports (“The Hard Count,” “SeaTalk,” “Husky Headlines”). Find them at www.seattletimes.com/category/podcasts. Listening to “Hella Black Hella Seattle” is like dropping in on a conversation, with the trio discussing topics ranging from race to Seattle’s best happy hours, as well as interviewing at least one significant Seattleite per episode. Podcasts aren’t new to Seattle. Dan Savage started his “Savage Lovecast” 10 years ago and “The Air-Raid Podcast,” a discussion of entertainment and nerd culture, has been rising in popularity since Aaron Roden created it in 2010. However, the city is now home to more podcasts than ever, reflecting a national trend. As equipment becomes more accessible and podcasts move to address mainstream topics, more people are creating and more people are listening. According to Edison Research, more than one in five Americans have listened to a podcast in the last month, a sharp increase from last year. Libsyn, a podcast hosting service, reports that in 2015, the platform hosted 28,000 shows, up from 22,000 in 2014 and 16,000 in 2013. It all started when Langford set out to find the boy whose voice he heard on the cassette left in the used Talkboy he bought in 2001. The first episode of “Personal Effects” follows Langford’s quest to find him. “Personal Effects” is a family business. Langford’s wife designed their logo, website and episode art, while Cartwright’s husband produced much of the music featured in the show. Season one of “Personal Effects” wraps up this month; season two will begin airing next spring or summer. “Tie My Tubes” (tiemytubes.com) is a documentary series chronicling director/producer Brie Ripley’s quest for a tubal ligation as a young, single woman. Ripley interviews doctors, lawyers, activists and other women who have asked to be sterilized and were told no. 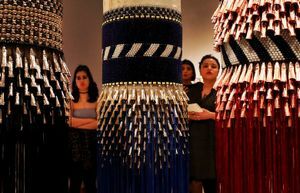 Her goal is to highlight the varying degrees of hardship women face when taking control of their reproductive health. Ripley was 17 when she first asked a doctor to tie her tubes. She was told no then, and many times after. She was too young, a doctor would say, or she would change her mind. When she did have the procedure, she said, she realized she was in a rare position of privilege and could leverage that to tell her story. 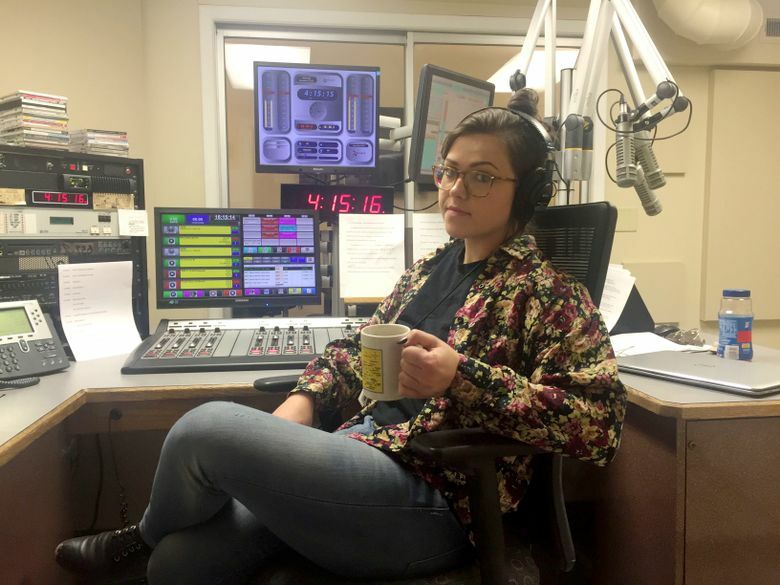 That’s why she decided to create the podcast and pursue a career in radio — she’s now working at Yellowstone Public Radio in Montana. 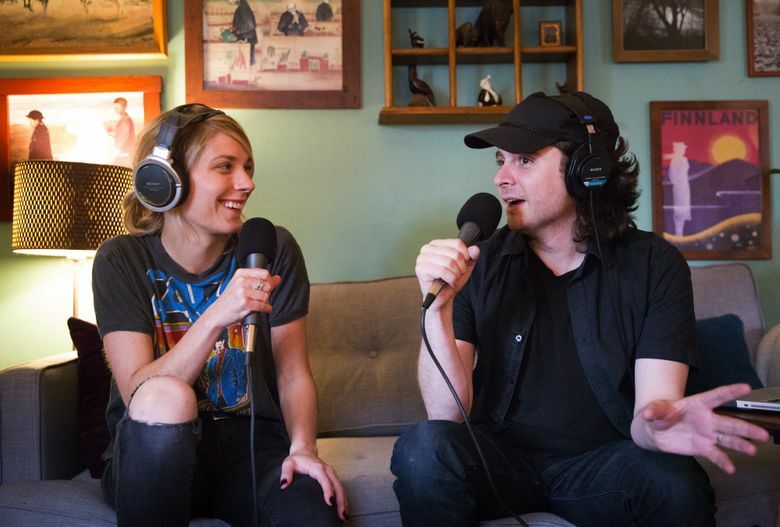 “It’s not just about having your middle-aged European or white cis-dude anchoring a news show anymore; podcasting has made it so anybody can pick up whatever device and start speaking their truths, telling their stories … It’s in a boom,” Ripley said. Local radio and podcasting personality Arwen Nicks — Ripley’s mentor — agrees. After eight years in the radio and podcasting game, she’s now focused exclusively on podcasts. Nicks used to run the weekly interview show “Sound Effect” on KNKX (formerly KPLU) and now is a producer and co-host of the Sub Pop Podcast, with yet another podcast set to debut later this year.